A replacement to the aging Chevrolet Equinox is expected for the 2010 model year, so dealers will probably want to shed any leftover Equinox models—especially the base versions. With mediocre handling and fuel economy, the 2009 Chevrolet Equinox isn’t that appealing, but it still offers superior cabin space. 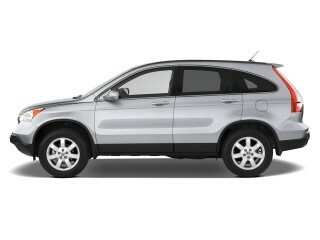 TheCarConnection.com's reviewers drove the 2009 Chevrolet Equinox in order to give you an expert opinion. 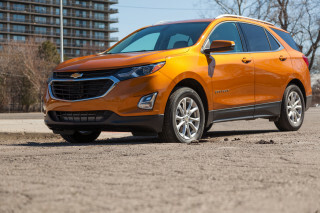 TheCarConnection.com has also researched available road tests on the new Chevrolet Equinox to produce this conclusive review and help you make the best purchase decision. 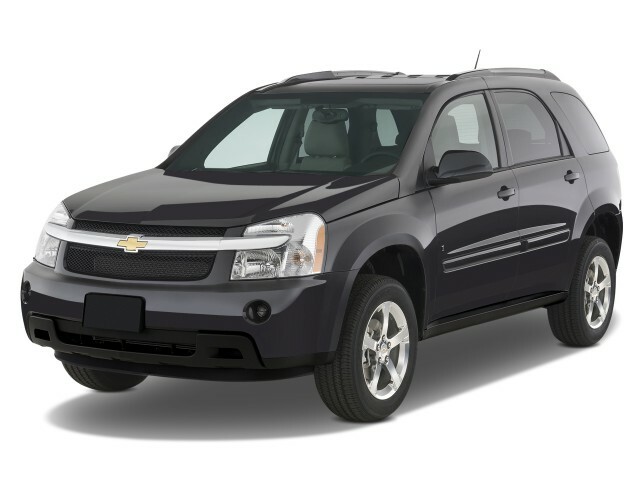 The aging 2009 Chevy Equinox shares its platform with the Pontiac Torrent, both of which offer a spacious interior and excellent safety ratings. Acceleration is strong in either version of the Equinox, as this compact model only offers V-6 engines, but fuel economy suffers. The standard model 2009 Chevrolet Equinox has a 3.4-liter V-6 with a five-speed automatic transmission and an EPA-rated 24 mpg on the highway, while the Equinox Sport is endowed with a 3.6-liter V-6, variable valve timing, and a six-speed automatic transmission. EPA city ratings stand at 16 or 17 mpg city for either engine. The Equinox's base powerplant is made in China and also powers Buicks sold there; it isn't particularly impressive and can't draw much excitement out of the five-speed automatic transmission, but overall acceleration is quite strong. The mightier 3.6-liter V-6 brings a slight mileage penalty to the 2009 Chevrolet Equinox, but it's much smoother and more refined—and especially more responsive for passing with its six-speed automatic transmission, which includes tap-shift controls for semi-manual gear changes. By the numbers, it's a more enthusiastic performer capable of accelerating to 60 mph in about 7 seconds. 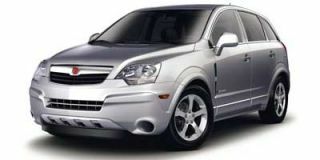 The Equinox is either front-wheel drive or, when specified, all-wheel drive. The 2009 Chevrolet Equinox just isn't much fun to drive; its steering feels vague, and the road manners of the independent suspension aren't athletic. The Equinox isn't sloppy, but there's no joy when cornering the vehicle and tires on standard models begin to give up early when pushing even around slight corners. 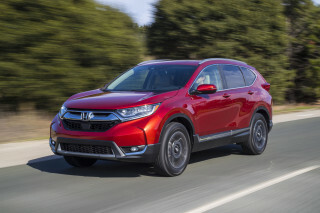 The Sport model doesn't handle much better, but in addition to the perkier engine, it better feels the part with a more aggressive exhaust note, 18-inch alloy wheels, and body-color trim—though say goodbye to its roofrack in this trim. GM should be given credit where credit is due for recent high-quality craftmanship, like that found in the 2009 Chevrolet Malibu's interior. But as the Equinox is one of GM's older designs, it hasn't benefited from the same care and attention. Cheap, hard plastics and sub-par switch gear disappoint, and the Equinox's thick A-pillars are visibility killers. These shortcomings are wrapped in an exterior design starting to wear its age, even if the overall crossover wedge isn't unattractive. But the 'Nox attempts to make up for its quality foibles with an impressive amount of space, specifically in rear-seat hip and legroom. Built on a front-wheel-drive platform, Chevy's compact SUV presents an extra feeling of spaciousness thanks to its flat-floor construction. Its 60/40 split-fold rear seat sits on sliders, giving it 8-inches of adjustability, while the front passenger seat folds flat into a table. Being a compact SUV, the Equinox doesn't offer third-row seating, but it does feature a cargo shelf in the back that can be adjusted depending on which items you're toting around. Behind the seats, though, the cargo area is about the size of that in the smaller Ford Escape. Head curtain side-impact airbags with rollover protection sensors are now standard, now bestowing the 2009 Chevrolet Equinox with five-star front and side impact crash ratings. XM Satellite is now standard, and Bluetooth connectivity is a new option for 2009 on the Chevy Equinox, which comes with keyless entry and cruise control even in base LS trim. Style-wise, the 2009 Chevrolet Equinox is a bridge between macho SUVs and sport wagons. Car and Driver and Cars.com mostly agree on the 2009 Chevy Equinox's styling, considering it handsome, attractive, and utilitarian (in a positive sense), though AutoBlog deems it dowdy and utilitarian (in a negative sense) while finding words to still compliment the Equinox's body-colored trim and front fascia that no longer sports a "chrome mustache." Splitting the difference, Kelley Blue Book says the 'Nox is "unmistakably a Chevy" with bold styling when it was launched. Regarding the interior, the 2009 Chevy Equinox relies on the GM parts bin for its instruments and controls—which is expected by nearly all automakers today—but Cars.com adds the chosen switch gear looks like it belongs on a vehicle less expensive than the Equinox. Meanwhile, Kelley Blue Book finds the Equinox's interior is well laid out, but also faults its lack of color and contrast, badly fitting plastic, and disappointing upholstery that all contribute to "a general lack of sophistication." Edmunds believes the Equinox features a clean, industrial-looking design with its large, clear instrument panel gauges. Consumer Guide agrees, going further to say most controls are simple and easy to use, except for power window switches that are placed around the shift lever on the console. Driving excitement isn’t something you’ll find from the 2009 Chevrolet Equinox, though the Sport edition might leave you happier. Competitor crossover models provide better handling, but the 2009 Chevrolet Equinox outputs substantial horsepower and features a smooth-shifting transmission. The base 185-horsepower 3.4-liter V-6 powerplant in the 2009 Chevrolet Equinox isn't a bastion of excitement. Regardless, the base mill can be mated to either front- or all-wheel drive via a five-speed automatic transmission. Kelley Blue Book claims the engine is quick when needed from a dead stop, but lacks passing power above 70 mph. Car and Driver isn't so kind, condemning the push-rod mill for being thrashy, but the magazine was impressed with surprisingly responsive shifts from the five-speed automatic found in Equinox LS and LT models. Moving up to the Equinox Sport adds a 263-horsepower 3.6-liter V-6 mated to a six-speed automatic with either front- or all-wheel drive. With plenty of punch, says Cars.com, power is delivered nicely through the six speed. When let out of its cage, the Sport is good for a sprint from 0 to 60 mph in around 7 seconds. For a little more excitement, the one-gear-bigger transmission features tap-shift controls. It should be noted there's nearly no difference between the two engines and drivelines with regards to fuel consumption; front-drive Equinoxes equipped with the 3.4-liter push-rod V-6 base engine muster 17 mpg city and 24 mpg highway, while 3.6-liter Sport models with all-wheel drive still achieve 17 and 24 mpg, city and highway, according to EPA ratings. Although the 2009 Chevrolet Equinox features independent suspension, the crossover's handling is far from athletic. Vague and unnatural steering feel from the Equinox's electric power steering system means fast cornering is absolutely out of the question, with Edmunds additionally reporting the compact SUV experiences significant body roll. 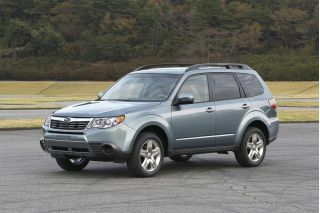 But compared to body-on-frame competitors, the Equinox is agile and carlike, praises Car and Driver. 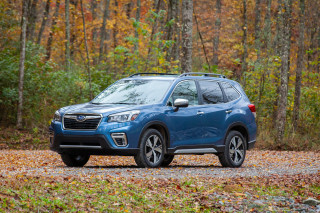 In a parking lot, where most Equinoxes will spend their time, its 40-foot turning diameter makes the compact SUV feel like a landyacht, reports Kelley Blue Book. Stepping up to the Sport model seems to make nearly everything about the Equinox better, though, with Cars.com asserting it delivers a firm but compliant ride is better than it ever thought an Equinox could. The 2009 Chevrolet Equinox is praised for its design, which combines lots of storage room in a small package but is marred by a lack of attention to the details. 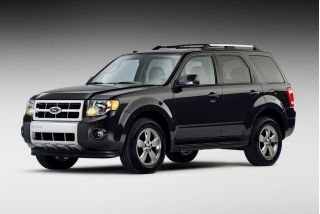 Occupants are greeted with a copious amount of interior space, but the 2009 Equinox suffers from the use of lesser materials not complementary with its more mature design elements. Kelley Blue Book and Edmunds point out the Equinox's rear legroom bests that of even the biggest utility vehicles, with lots of room to stretch in both rows. Conversely, MyRide.com finds the Equinox's front seats uncomfortable, with a noticeable lack of bolstering. At the Equinox's rear, Car and Driver applauds its Multi-Flex rear seats for their cargo- and passenger-carrying flexibility. Several storage compartmants augment the Equinox's front console, reports Edmunds, and integrated storage bins further increase storage space in the rear. Edmunds also praises the 69 ubic feet of total cargo capacity that places the Equinox as one of the class leaders. The Chevrolet Equinox's cheap turn-signal and wiper stalks feel brittle to MyRide.com reviews, while Edmunds and Car and Driver are additionally unmoved by the Chevy's sub-par interior materials that make the SUV feel less refined than its competition. Noise is another common grievance. The poorly insulated 2009 Chevy cabin is further assailed by "tires, which roar on smooth road surfaces," says ConsumerGuide, adding, "wind noise is obvious at highway speeds." The addition of head curtain side-impact airbags raises the already impeccable safety rating of the 2009 Chevrolet Equinox. The 2009 Chevrolet Equinox boasts one of the best safety records of any crossover, and it delivers considerable peace of mind to occupants. While reviewers laud most of the 2009 Chevrolet Equinox's safety features, ConsumerGuide is left unimpressed by its thick, visibility-killing A-pillars at stop signs. That continues to the rear, with vision hindered by equally thick side and rear-corner pillars. Cars.com points out that that front airbags, anti-lock brakes, and stability control all are standard. The Equinox has some pretty impressive scores in crash testing. The National Highway Traffic Safety Administration (NHTSA) rates the 2009 Chevrolet Equinox at five stars for all front and side impacts, while the Insurance Institute for Highway Safety (IIHS) deems its front-impact protection "good." For 2009, the availability of Bluetooth completes the 2009 Chevrolet Equinox feature list. The base model 2009 Chevy Equinox comes well equipped and can be upgraded with numerous available options. Cruise control, air conditioning, a six-speaker AM/FM/CD audio system with auxiliary input, 16-inch aluminum alloy wheels, automatic tire pressure monitor, six-way adjustable driver's seat, power locks with keyless entry, power windows, power mirrors, second-row sliding/split-folding seats, and a multi-tier cargo system are all standard features, report Kelley Blue Book and Car and Driver. 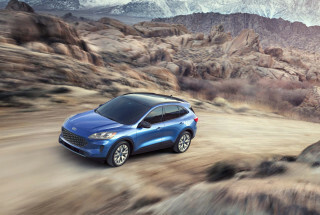 Additionally, buyers can option heated front seats, leather seats, a moonroof, six-disc CD audio with MP3 support and steering-wheel-mounted controls, and 17-inch alloy wheels, say Cars.com and Kelley Blue Book. The Equinox's LTZ Appearance Package brings chrome and leather to the compact SUV, while other pricier options include DVD navigation, rear-seat entertainment, satellite radio, remote start, and an automatically dimming rearview mirror.